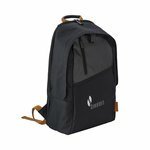 Promotional backpacks and rucksacks printed with your logo provide a great branding opportunity and a way to reach a wider audience with your marketing. 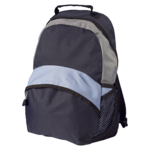 We provide an extensive range of rucksacks and backpacks and whilst we offer them with a imprint options including screen printing and embroidery, we can also provide plain stock backpacks. If you want a bespoke promotional backpack or rucksack made to your exact specifications we can also supply this but the lead times will be longer. 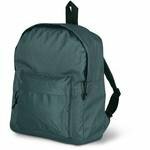 We have shown a small selection of the rucksacks and backpacks we can provide below and have several more ranges and options available if you cannot find what you are looking for. Let us know what you need and your budget and we will help you to find the right rucksack or backpack for your promotion. So, what is the difference between these? Mostly differences refer to the location for carrying (back or shoulder) and their overall size. Backpacks are worn or carried directly on a person’s back. 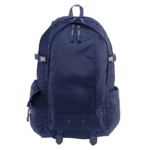 Backpacks have two straps to secure the bag to the wearer’s shoulders and may have a chest and waist strap which help to distribute the weight over an upper torso allowing the backpack to be worn for long periods of time. 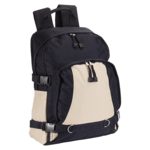 Backpacks are normally made from cotton, nylon or canvas and may have a metal frame to help support the weight. The more robust the design the greater the weight the bag can carry including up to 10Kg or more. 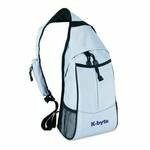 Knapsacks are typically made from nylon, canvas or leather and can be used for carrying a larger volume of items. Uses could include clothes, food and water provisions. Knapsacks are popular for day-trip hill walkers and other travellers who need to carry items and provisions for their day out. Knapsacks generally hold a day’s essential items. The word ‘rucksack’ has German origins. In German ‘der Rücken’ means ‘the back’ with ‘sack’ referring to a bag. Rucksacks are a type of knapsack and are generally smaller than backpacks and are used by hikers, campers, bikers and cyclist to carry small provision for a day-out. Rucksacks tend to have easy access pockets for small items and may have a belt strap. In the UK we tend to interchange the term ‘rucksack’ with ‘backpack’. A haversack is also known as a shoulder bag and is carried by being slung over either a right or left shoulder. Haversacks are single strapped and are ideal for carrying low weights and small items for short periods of time. Most haversacks and shoulder bags are made from nylon, cotton, canvas or leather. 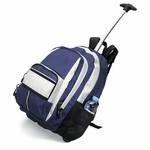 Good examples of this type of bag include swimming bags, book bags and document bags. Haversacks are also referred to often as ‘messenger bags’ and were originally used by the military for carrying food including the ‘Havercake; which is type of bread made from oats and water. Once again nations used words for bags interchangeably and often haversack is used in place of ‘rucksack’ in the APAC (Asia Pacific) region of the world. Price and budget are important factors to consider and all our bags have volume related pricing. The greater the quantity the lower the unit price. Please let us know if you find a rucksack or backpack that you like but need help to get the price within your budget. We are always happy to look at this for clients and may be able to offer an alternative not shown from our wider range. We only show a short selection of backpacks and rucksacks here. All prices shown include a form of imprint whether this is screen printed or embroidered or some other form including labelling. Screen printing offers the lowest unit print price. Embroidery is more expensive but can have a greater impact. Colour matching is an important consideration. Bags generally have to be hardwearing and are therefore darker in colour. To match up you colours to your logo or offer a contrast you may need to consider trim colours. Custom or bespoke features are available for some bags and so if you don’t find the exact product you want please do let us know. We can have bags made to order or customised to suit your project but please remember that this will add to the leadtime. Artwork imprint areas are shown for each product. If you do not have artwork ready or cannot easily source this our Design Studio can assist here. We are just a phone call away on 0800 158 3080 if you need advice or guidance on how to select the right promotional backpack for your promotion. How is the capacity of a backpack or rucksack measured? The most popular and traditional way for measuring capacity is in unit litres or cubic inches and either defines the volume the backpack or rucksack can hold. 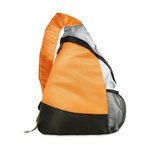 It is also important to consider the overall size of the bag on a person’s back and especially when selecting bags for promotions for children, teenagers and adults. Do you offer water bottle pockets? Generally most rucksacks and backpacks have a pocket that can be used for maps, water bottles and other to carry other items. If the bag has a specific water bottle pocket this will be shown in the product description and/or specification. Redbows can also bundle promotional water bottles with the some backpacks and rucksacks to provide a matching and branded solution for clients. 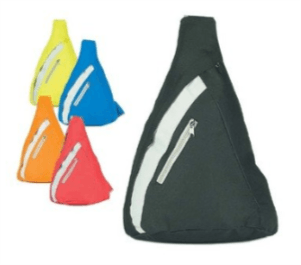 We can also supply backpacks with built-in water rehydration water pockets and these are commonly used for sports promotions including cycling and mountain biking. What options do I have for logo printing? There are generally two types of logo imprint method available for rucksacks and backpacks and both will be hard wearing. The first option is screen printing and this is our most popular imprint option for client looking for a low cost solution. The second option is embroidery and this is available on some of the bags available from Redbows. Embroidery costs more than a screen print and is priced on the size and number of stitches and colours required.